Showcasing, proofing, and selling your work online is a fundamental part of being a photographer, but with so many web platforms to choose from, how can you ensure you choose the right fit for your business? Christopher Quyen shares some of the main platforms and online tools on offer. The presentation of your work is a significant aspect of how the public perceives you when you showcase your photography online. Great work on a mediocre website can be off-putting to potential clients, or it can be frustrating if your website is difficult to navigate. When it comes to presenting, proofing, or selling your work, a great user-experience is crucial. Fortunately, when it comes to finding a web platform that can transform your portfolio into a professional-looking website, there is no shortage of options. While many of these include tools for e-commerce, there are also dedicated online tools which can help you proof and sell your work. Once you’ve picked your web platform, designing a great website is the next step, whether that means picking the right template, or crafting it yourself. But how does one choose a web platform? Figuring out how much time it’s going to save, or take away from your business is a good place to start. © Martin Hobby. 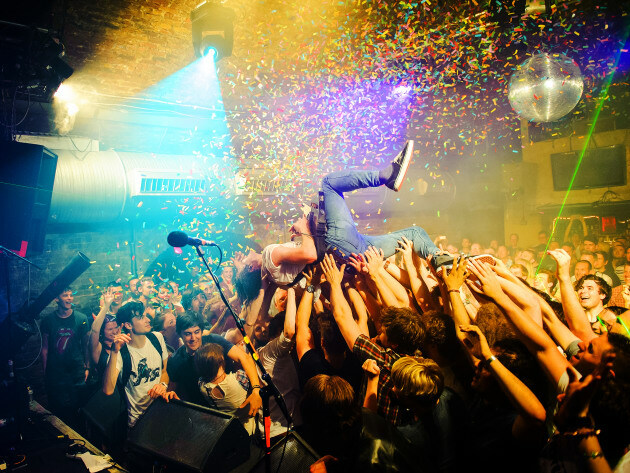 Grunge band, Dinosaur Pile Up, playing Cargo, in London. When selecting a platform, you should first ask yourself two questions: How customisable do you need your website to be, and how much time and effort are you willing to put in developing it? If you’re looking to develop a custom website with custom layouts, sliders, and pages, using open source software from WordPress may be the way to go. Achieving your desired website through this platform requires some knowledge of HTML, CSS, and PHP coding, but Chicago-based wedding photographer, Todd James, who uses WordPress and ShootProof, says this is easily solved with themes. “You can purchase WordPress-based plugins and themes, from somewhere such as FloThemes, that will give you the bare bones of your website,” he says. “You can then customise and code it however you want. The downside is that WordPress isn’t as user-friendly unless you know how to use the backend.” Furthermore, managing your images in WordPress can be tedious with no dedicated way to archive them. If you don’t want to put too much time and effort into your website, then platforms such as Squarespace, Format, PhotoShelter, and Zenfolio are all accessible through a subscription. The common thread between all these platforms is their template-based approach to web design. This makes it easier for photographers to immediately set up a website straight out of the box. However, some of these platforms do allow room to go beyond the template through custom CSS. 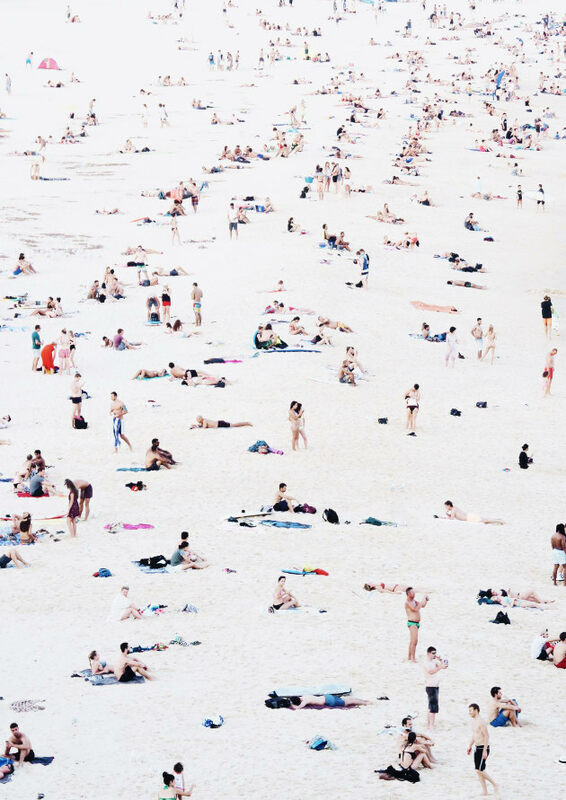 Sydney-based photographer and artist, Ante Badzim uses Squarespace and Format. “The templates on offer through Squarespace are second to none, but the ability to tweak for personalisation through custom CSS was important for my branding.” These platforms also all have dedicated image archiving systems that make it easier to upload and manage your photos. © Asanka Brendon Ratnayake. 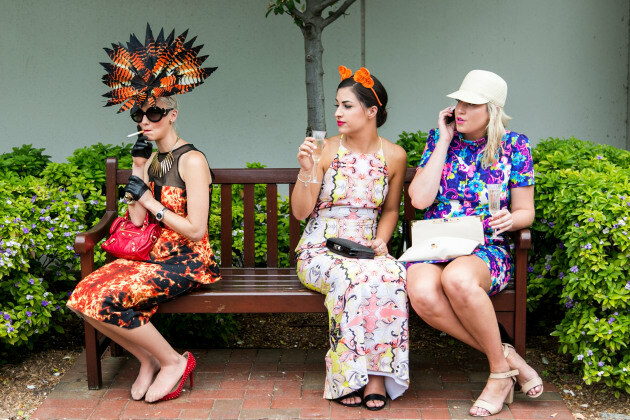 A women with a colourful headpiece sitting on a bench smokes a cigarette during the Emirates Melbourne Cup Day, held at Flemington Racecourse in Melbourne Australia. Once you have a website set-up, using an online tool to proof and sell your work is a great way to generate another stream of income. 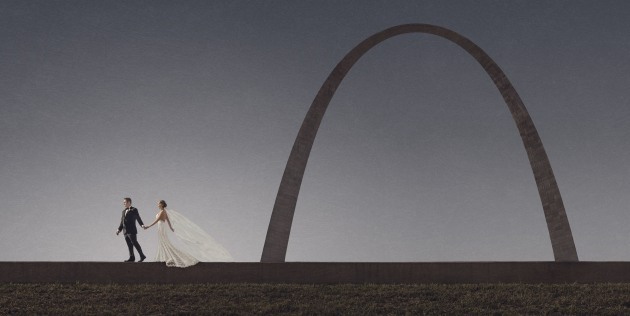 Sal Cincotta, founder of the St Louis-based award-winning studio, Salvatore Cincotta Photography, uses N-Vu independently from his Squarespace website to proof and sell his work. “N-Vu is one of the best tools on the market, in my opinion, and is more than just a gallery,” he says. “They offer galleries, apps, and a host of other client proofing and in-person sales tools.” Cincotta also uses StickyAlbums primarily as a mobile platform because “it’s easy to use and our clients love seeing and having access to their images on a mobile platform.” James also uses extra tools to streamline the proofing process. “I use Album Exposure, an album proofing site where I can send the link of an album to a couple and they can look at the album and make comments on it,” he says. But if an independent tool seems like more work to manage, an integrated proofing and e-commerce solution can be found with platforms like Squarespace, ShootProof, and PhotoShelter. Platforms such as these will assist you in your digital sales, however orders for physical prints become your responsibility. London-based wedding and commercial photographer, Martin Hobby has instead taken advantage of Zenfolio’s integrated e-commerce platform to sell prints. The added value that he gains from Zenfolio is never having to worry about organising and ordering the prints himself. “Zenfolio has a built-in shopping cart with thousands of products available from top labs worldwide to print my images on. In the UK, they tie in with One Vision Imaging, and I’m able to sell the majority of their products with my prints, from loose prints to acrylics or albums,” says Hobby. In Australia, Zenfolio has partnered with Nulab. Platforms such as Zenfolio, Pixieset, and Society6 that have an integrated on-demand printing option built in can be valuable for time-poor photographers wanting to sell prints. On the other hand, Ratnayake recommends PhotoShelter’s online proofing solution as it is easy for clients to use. “I can sell, license images, and also sell prints, although I prefer to have a dedicated site for prints as PhotoShelter is lacking in its presentation of print products for sale.” However, Ratnayake says that PhotoShelter has an app for your phone which allows you to archive and send images to clients. With N-Vu, Cincotta likes to use a feature called Room-Vu. “It allows you to quickly and easily show your clients how an image will look on their walls,” he says. “You can show them the actual size they need.” For Badzim, Squarespace apps were a key feature for him, “apps such as Blog, Analytics, and Commerce have made it easy to stay on top of the business-related elements of the site,” he says. His use of Format also allowed for easy integration and import of content via platforms such as 500px. He can also easily import and publish work to Format directly from Adobe Lightroom. © Sal Cincotta. St. Louis, 2016. Rarely do web platforms or online tools come free, so it’s important to factor in the overhead costs and limitations involved with using one of these platforms. One common limitation is the number of images or storage space allotted to you, with the overhead increasing with the more storage you need. “One thing to be careful of is archiving. Because I’m always doing a lot of shoots, I usually archive my shoots on ShootProof, and since it’s building up, my bill from ShootProof has gradually grown with the amount of images I’ve got up on there,” says James. Another common overhead is the platform taking a commission from your sales, which can add up over time. “The overhead of selling through Zenfolio is a 7% service fee, so I just take this into account when I’m creating my prices. This is a small percentage to pay for a great shopping experience for my clients considering I hardly have to do anything and can make money while I sleep,” says Hobby. But platforms usually offer a commission-free service at a premium. “I highly advise opting for the zero commission plans,” Cincotta suggests. “My thought process is, ‘Sure, it’s a little more money, but I don’t want to share my profits with anyone. These are my images and my sales.’ I would rather pay the annual price since it’s basically a cost of doing business, and then keep everything I sell for myself,” says Cincotta. When designing your website, it is important to take into consideration how your audience will view it. Your aim should be to give your audience an overview of your work without confusing them too much. Ratnayake recommends a simple and clean approach as the way to go. “Design your site around the idea that viewers will spend 30 seconds maximum. Think about it from the user’s perspective and not your own! My homepage basically has all my best images from the various photojournalistic genres I cover. It’s a perfect snapshot of what I do,” says Ratnayake. © Ante Badzim. Sunset congestion at Bondi Beach, NSW. So, once you have your website developed, how do you get people onto your website? Search Engine Optimisation (SEO) for your website, either through a blog or captioning your images, is one way to do it and can pay off when you’re on the first page of Google in your local market, such as Cincotta. “SEO is not an overnight thing. It takes time to build your online reputation, but you have to start and commit to it . . . it will pay off in the long run,” he says. But it’s when you start using your website in tandem with social media that traffic really starts coming in. Badzim uses Instagram to drive traffic to his prints store and has since amassed a following of over 73.2K followers. James also uses Facebook to drive traffic to the blog on his website by tagging the bride and the groom in a post with a link to the blog post. He also offers a limited-time discount code that their friends and family can use to purchase prints. Using web platforms and online tools are the best way to get a head start into crafting and monetising your online portfolio, but the vast range of options can be overwhelming. If you’re trying to decide what platforms or tools to use, choose the one that best fits the focus and purpose of your business. If your purpose is to showcase your portfolio, you might want to consider platforms such as Squarespace, Format, and PhotoFolio to place your images into beautiful layouts. If your purpose is archiving and proofing your images, then platforms such as PhotoShelter, StickyAlbums, or ShootProof might be a better option. And if your purpose is to give your clients the option to get their print on any product imaginable, then consider Society6, PixieSet, or Zenfolio. But the bottom-line is that everything is about your brand as a photographer. So when you’re designing your website, don’t be afraid to make it a direct reflection of what your clients can expect from you.